Enzymes are biocatalyst that increases the speed of of a chemical reaction without themselves undergoing any permanent chemical change. They neither used up in the reaction nor do they appear as a reaction products. 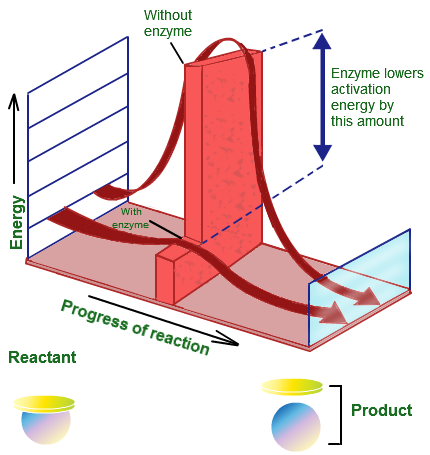 Enzyme can increase reaction rate by favouring or enabling a different reaction pathway with a lower activation energy making it easier for the reaction to occur. 1. Which of the statements regarding enzymes is false? Enzymes are proteins that function as catalysts. Enzymes provide activation energy for reactions. a permanent mutual alteration of structure. remains rigid and does not change shape. 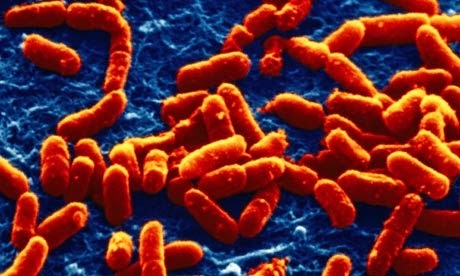 is found at the center of globular enzymes. contains amino acids without sidechains. is complementary to a specific ligand. bound very weakly to the catalyst. is usually less than Kd, the dissociation constant. is estimated from the Y-intercept of a Lineweaver-Burk plot. binds to the Michaelis complex and decreases Vmax. 10. Which of the following common drugs is not a specific enzyme inhibitor?